Thirsty Pilgrim: 3 Fonteinen to Launch New Dark Beer. 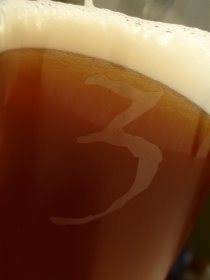 3 Fonteinen to Launch New Dark Beer. The latest: he and wife Lydie are launching a new dark beer called Zwet (or, possibly, zwet.be). They told me in a brief e-mail that "the zwet beer is out and it is marvelous." I'm inclined to believe them. They promise more info and a photo very soon. It's not clear to me yet whether the beer is a new lambic blend or, perhaps more likely, a stout-like beer brewed at Proef under contract. Proef makes the Beersel line of beers for 3 Fonteinen to Armand's specifications (including my favorite, the dry-hopped Beersel Lager). If anyone knows or has tasted the beer already, please share. Share your beer, I mean. Oh well, if you only have information, you can share that too. The Brussels-based shop Beer Planet already has a listing for "ZWET BE" in its online shop. It's listed at 7 percent abv. Shoot, just look at that glass of faro in the photo. Now I've gone and made myself all thirsty again. *If you've talked to many Belgian brewers, and you've also talked to Armand, then you know that to say he's "one of Belgium's most passionate brewers" is (a) saying a hell of a lot, and (b) absolutely accurate. Hope A made enough for me to get some here in NC! Thanksgiving Pairings: It Ain't Rocket Science. Belgium Gets a New Gueuze Blender. A Promise: I Do Not Blog About Blogging. Beer and Thai Food: Two of Life's Great Joys.